Highly concentrated AloeVera in a veggie capsule. When most people hear the words “Aloe Vera,” their minds go right to one simple image … a succulent, deep green in color with jagged, cactus like leaves emerging from the dirt. Evolved over tens of thousands of years, some 550 total variations can be found growing naturally across the remote Eastern Coast of Africa, and up into the Middle East. Some resemble the simple plants we know, while others twist and turn with bright hues of purple. Some bear bright, exotic flowers while others look more earthy and bland. Some grow virtually anywhere while others are limited to a few key habitats, and each species bears its own subtle differences from the rest. And their often remote location has been a complicating factor for ongoing Aloe Vera research. “I don’t know of any places really that have such a big collection of aloes in cultivation,” said Emma Bodley, conservation specialist for Auckland, New Zealand’s Botanical Gardens. Emma, and the Gardens, have recently come into possession of a veritable treasure trove of Aloe Vera plant; some 400 different species of the plant delivered in various quantities and stages of growth. The man’s name was Geoff Etherington, an apple grower from Wakefield, New Zealand who’d taken to collecting the plants in his spare time. After selling the majority of his healthy orchard, Geoff was left with just 2.4 hectares of growing space and a singular drive to never see another apple tree again. So instead, Geoff and his wife embarked along a completely different path—developing their remaining land into the impressive, diverse natural attraction now known as Gardens of the World. While cultivating such a wide variety of exotic plants, Geoff found the perfect opportunity to grow his Aloe collection even more. Over time it soared to epic proportions, and when the couple sold their lucrative business and moved on in 2008, Geoff’s massive collection went with him. His collection contained plants from Saudi Arabia, Kenya, Yemen, Somalia and Zimbabwe—along with a great number from the island nation of Madagascar. Whether he realized it or not, Etherington had cultivated what is now regarded to be the single best collection of Aloes in the world—a veritable “Library of Alexandria” for research of the plant. 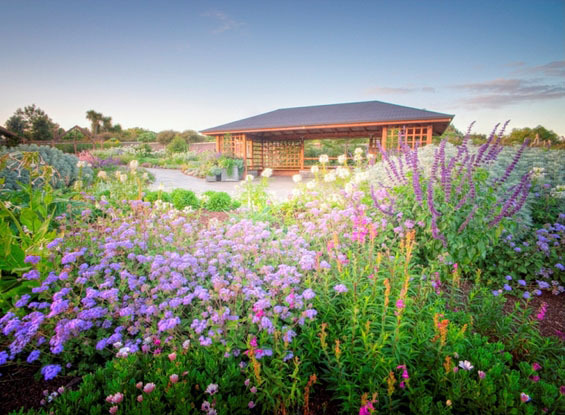 Before Etherington passed away, he bequeathed his collection of aloes to the Auckland Botanical Gardens—finding them the best-suited to nurture and grow his one-of-a-kind collection. And he was careful to pass on not just the plants, but the lifetime of unique knowledge he’d accumulated while living with his collection. He taught the Society’s staff plenty of “cool tricks,” including how to quickly identify different species by their defining characteristics, and his own special method for painstakingly pollinating his plants by hand. From a scientific perspective, his collection and his methods represent decades of important foundational research, and it’s incredible news to hear that he’s passed it on effectively and efficiently—and at a time when Aloe research is more important than ever before. The Botanical Gardens’ staff immediately realized the value of what they call an “amazing” resource for research, with numerous staff members fascinated by the prospect of learning more about the plants. It’s a wonderful story, a tremendous legacy, and a testament to Etherington’s unflinching dedication to a hobby that one news reporter called “weird and wonderful.” What some might have seen as a gardener’s obsession has grown into one of the world’s most important sources for scientific research. Sure, we’ve long known its benefits as a remedy for dry or sunburnt skin—as a lavish, all-natural lotion that can make you feel great. But as people began to experiment with aloe; as scientists and foodies began to discover its role in Eastern medicine and cuisine, things have begun to change. Just last week, the decidedly conservative Newsmax Media published a fascinating story detailing recent scientific studies into the medicinal properties of Aloe Vera. The results—seen as a whole—are impressive. But until recently, it’s been hard to get the full picture. For the last few decades, “studies involving … type 2 Diabetes and heart problems have been small and lack appropriate scientific methodology,” according to Newsmax. It’s long been known that aloe juice can be a powerful laxative, with plenty of benefits for sufferers of GERD and other digestive diseases. Preliminary findings indicate that it might also be able to help regulate blood sugar levels for those with type 2 diabetes—even help to balance cholesterol levels (a problem for many Americans). Can Aloe Vera boost your Heart Health? Like one study from Angiology.com, which concluded that some 5,000 sufferers of chronic chest/heart pain reported relief and reduced angina attacks after taking regular doses of an Aloe Vera supplement. By the end of the study, an unbelievable 85% of the patients had their heart rhythm return to normal. Combined with the benefit of reducing your LDL (low-density lipids, aka “bad” cholesterol) and increasing your HDL (high-density lipid) counts, these studies indicate that Aloe Vera may indeed be able to boost heart health—especially when taken preventively. By mitigating many of these risk factors for heart disease, Aloe might just be a better heart treatment than many of the different solutions used throughout the history of pharmacology. How do I even Take Aloe? 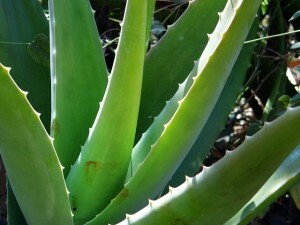 Historically, if it’s not applied topically Aloe has been taken as part of a juice often referred to as “Latex.” But since Aloe extraction methods remained very primitive until recent years, this juice was often deceptively ineffective, or it only offered a few of the plant’s many benefits because of how it was being ingested. That’s part of what Newsmax was referring to in terms of the “lack of appropriate scientific methodology” for studying the succulents health benefits. But now, thanks to modern innovations, extraction methods have become more efficient—and the quality of their extracts more potent. They’ve done so by zeroing in on a key active ingredient known as Aloe Mucilaginous Polysaccharides (AMPs)—the key to an extract’s potency. Proven to be the source of Aloe’s many metabolic (and other) health benefits, AMPs don’t have to be taken in juice form to be absorbed. Instead, they can be served up in capsules … offering a pre-measured dosage concentrated natural nutrition any time you want it. AMPs also allow for even higher concentrations of Aloe—with over 30 lbs of raw, organic Aloe going into each bottle of AloeElite capsules. People have been taking Aloe as a medicine for centuries, and even extract sellers like AloeElite have been in business for a while now. But the fact that people are starting to take notice—from liberals to conservatives and beyond—seems like an indication that the medicine’s finally doing its job. While the preliminary results from medical tests seem to indicate Aloe’s effectiveness in supporting heart health, these reports from major publishers indicate that the media (and society at large) are starting to take notice. Forget the expensive Aloe Water and Make your own!